THIS ATTRACTIVE ORIGINAL WATERCOLOR WAS DONE BY BRITISH COLUMBIA ARTIST VIOLET TWEED. 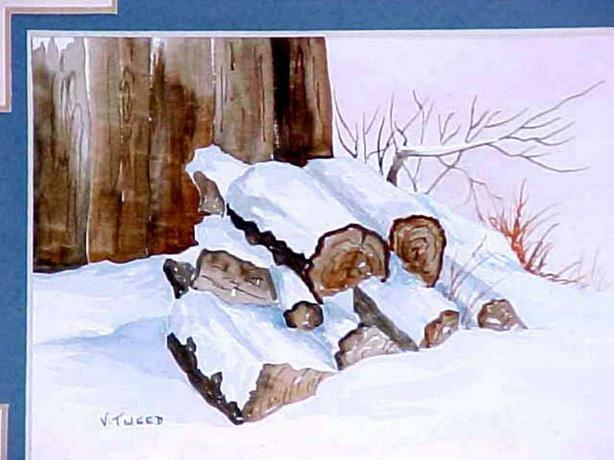 IT FEATURES A SNOW COVORED PILE OF LOGS. 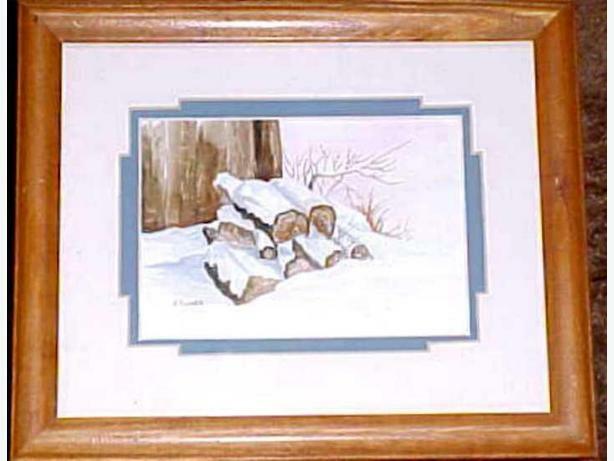 THE FRAMED SIZE IS 11 1/4" BY 9 1/2". IT IS NICELY MATTED AND FRAMED ? READY TO HANG ON THE WALL. FOR OTHER ITEMS OF HOUSEHOLD INTEREST, VINTAGE COLLECTABLES AND ANTIQUES PLEASE VISIT MY OTHER ADS.